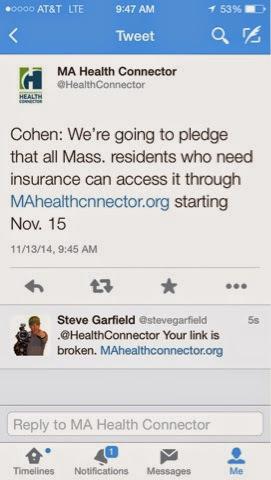 MA Health Connector tweeted out a broken link yesterday to the new Health Connector website. I told them on twitter. They need to be listening on Social Media. 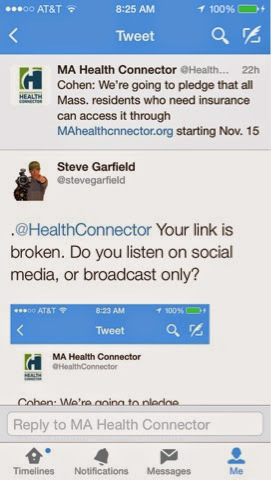 If they aren't listening now, they aren't going to be listening Saturday, when the site opens up at 8 AM. Thanks for bringing this to our attention. We have updated the tweet with the correct URL. We're looking forward to getting the new system up tomorrow.